As a writer, do you balk at big projects? Do you wonder where to begin or have problems focusing on the mountain of work before you? If you are beginning a book and can’t figure out where to start, or if you are mid-story and have lost focus, reading through these pitfalls and how to avoid them will motivate you to take action and finally get your book written. When writing on a specific topic, it is imperative to research that topic and know what you are talking about. It is counterproductive, however, to read and pick apart every book you can find on the topic by other writers in the field. What you want is your own fresh perspective, not your writing reflecting everyone else’s. Do your research to include in your work, but know when to pull back and add your own thoughts to the topic. While free-writing is a good way for some writers to clear their heads and turn over new ideas, it is not the way to start a book. Give your work focus early on by composing a brief thesis that reflects a perspective your reader will value. This will give your work a solid introduction while keeping your writing on track. Before going on a road trip, smart drivers begin with a map and a clear idea of where they are headed and how they will get there. There may be some detours or delays along the way, but they remain focused on their goal. As a writer, beginning your story without a map will lead you nowhere. Even a loose outline of what you want to cover will keep your writing trained on the task at hand and will alleviate that daunting “staring at a blank page” feeling that can block writing before it begins. While it may seem logical to start writing a book at Chapter One, this is actually one of the hardest places to start. Your first chapter sets the stage for the rest of the book and must support the entire story. Likewise, your last chapter must tie the story up into a perfect bow without any loose ends. By writing from your middle chapters first, or even building your story in both directions, you will have enough material to write a solid first and last chapter, perfectly framing your story. This is one of the most difficult things to accomplish when writing at length. The sock drawer needs to be organized. Trash needs to go out. A hundred other things need to be done. Despite all this clawing at your attention, your project awaits. If you intend to write a quality piece, give it the attention it deserves, even if that means scheduling time in your day for it like any other job. Editing while you write will only hinder your progress. If you are being counterproductive, you will quickly become frustrated and may abandon the project altogether. Nothing has to be perfect in your first draft (or your second, or third). Once you have at least the bare bones of your story in place, then you can worry about smoothing out the wrinkles. Writing a book is a massive task that can be daunting and frustrating, and make even a professional writer want to throw in the proverbial towel. By kicking these common bad habits, your best writing will happen more easily than you thought possible. 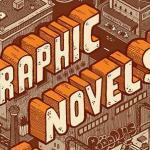 Graphic novels (another name for comic books) have become increasingly popular with children, teen readers, and adults. The boom in the last 10 years in this category is due to the popularity of Japanese comics with young readers. The result is that critics recognize the artistic value of graphic novels with awards, and educators are using them as teaching material. For writers interested in trying this medium, no longer considered poor literature, libraries are a good resource. In fact, librarians have noticed they are among their most circulated genre categories. Children and teen readers love graphic novels because of their easy-to-read mix of text and visual content. Graphic novels are preferable for readers of limited attention spans. With the advent of the online age and smart phones, young readers’ attention spans have shortened. Academic recognition has also widened exposure to graphic novels, as has e-book lending. 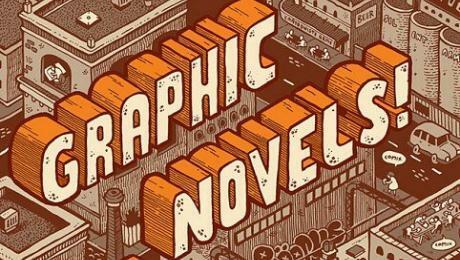 Serial graphic novels make the digital format an efficient stocking medium; and tech-savvy teens respond better to digital content. Adults with limited free time, or who are too exhausted when they have free time, are also gravitating to graphic novels and short stories. Adult readers have discovered that graphic novels possess more depth then the comic books of their youth. The illustrated stories that unfold in graphic novels have the complexity, depth, and variety of traditional novels. With less text they are easier to consume; they stimulate enjoyment by being entertaining, and they have emotional appeal, while providing the intellectual stimulation adults seek in novels. Critically acclaimed books by Dave Gibbon (Watchmen, released in 1987), Art Spiegelman (Maus, released in 1991), and Alan Moore’s trend-setting works boosted these writers’ circulation. In this decade, traditional publishers have published other acclaimed books by authors including Alison Bechdel (Fun Home, released in 2006), Marjane Satropis (Persepolis, released in 2000), Raina Telgemier (Smile, released in 2010), and Chris Ware (Jimmy Corrigan, The Smartest Kid on Earth, released in 2000). LGBT students are present in almost every high school. Researchers have reported that they constitute between approximately three to ten percent of the student body. School bullying and the high rate of suicide attempts by bullied LGBT pupils appears to be rising. Writers of graphic novels explore this content more because they have researched the preferences of their target audience, including educators, who are using these stories for teaching purposes. Even the most seasoned writer can lose focus with their work. Whether working on a freelance article with a tight deadline or a full-length novel involving extensive research, things can and will get in the way. At times, this can make a writer feel unproductive, questioning their own abilities and undermining confidence in their work. 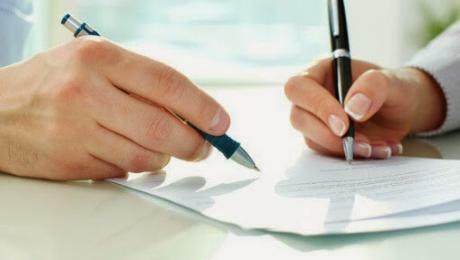 One way to resolve such problems is to enlist the help of a writing partner. Sometimes, all it takes is a fresh pair of eyes to find a hole in a story or a character flaw, or to provide a fresh perspective. When someone reads another writer’s work from their own perspective, they may see it as the reader might. This allows them the space from the original work to post questions readers would pose. They can then fill in the blanks, giving that written work a spark the writer would otherwise not expect. When a writer sees fresh words entangled with their own, it may refocus their attention. Motivational partners are also fantastic at helping combat writers’ block. When a writer looks at a story long enough, the words begin to blend together. It can be difficult to figure out where a scene or even an entire plot is going. In this case, a writing partner can identify where a story dropped and either add a new twist or continue developing the writing from a seemingly dead end. Co-written stories often have a wonderful flow and a subtly changing perspective that keeps readers interested. While engaging a writing partner is a rich source of motivation, a plethora of learning opportunities also exists. If both writing partners are willing and able, each can benefit by raising the other’s writing skills in a friendly, creative atmosphere. 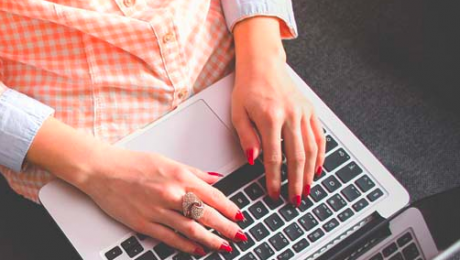 A writing partner can bring new styles for a stuck writer to try on their own, and can be a viable source of tips and tricks for honing one’s writing. As a worst case scenario, another writer below one’s own caliber can teach us how not to approach something. Looking for a writing partner or even accepting that one may be needed can be a humbling experience, especially if a writer does not find the best partner right off the bat. Like anything, it is a path of trial and error. When an author is unafraid to step outside their comfort zone, they will find new inspiration in often unlikely places. Technology is absolutely liberating in the way that it brings writers and editors together in every form of project. Not only does it offer support in major ways like easier organization and faster communication, it also allows us to live in the present with instant access to information on everything from quick technical style questions to in-depth research on any subject. It is, however, easy to get distracted and pulled into bad tech habits that are counterproductive to success. 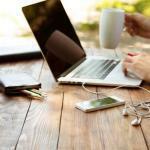 Adopting the following habits is nearly guaranteed to change your work life for the better. The small efforts that you will expend in finding the right methods and software for yourself will pay off with more free time and much less frustration in the end. It happens: your computer crashes while you are working on a new article or are up to your ears in novel research. One day, you may try to open a file only to receive an error message that it has been corrupted. For documents, the easiest way to back up your work is with a free cloud service like Google Drive, Windows SkyDrive, or Microsoft’s Dropbox. Using more than one service is recommended as services can disappear without warning. Also, regularly back up your information to a standalone drive just in case. While most software is programmed to update itself regularly, a quick check for updates once a week can’t hurt. For foolproof updates, go into your program settings and select “Auto-Update” wherever possible. This includes Word, Windows, anti-virus software, and anything else you use that is vital to your work. If you are less than tech savvy, a free program called “Update Checker” will do the work for you. By keeping your programs current, you stay safe from current threats and head off new ones. Organization is one of the biggest issues most writers and editors face. When work or life gets busy, it is easy to toss something (including a manuscript) to the side and forget where we put it. Using software options like cloud syncing will allow you to access your work anywhere and acts as a bonus backup tool. Keeping a database or spreadsheet of contact information and submissions will ensure all your information is in one place when you need it. Also, check out apps like Wunderlist for your to-do needs. Rather than pay exorbitant amounts for fancy software (unless you truly require it), look at the free options available online and through app stores. Word processing programs like Open Office and LibreOffice offer full software suites to help your work stand out as professional. They are loaded with all the features you need and some you didn’t know you did. A world of free organizational and security software is also available. Read software reviews to determine which will work best for your unique needs. Cultivating good habits means you actually have to get started on them. They will not become habits unless you put them in place and continue to nurture them, so it is important to start right now if you are serious about making changes that will make your writing life easier. 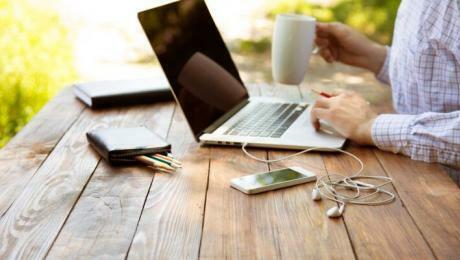 With these four vital habits in place, bad habits get replaced, panic over lost work or lost contact information disappears, and suddenly work is more enjoyable than it’s been before. Your attention should be drawn to the term “googling,” as it is being used as a verb in lieu of “searching.” While this type of language may be commonplace among millions who use Google every day, not everyone agrees with or approves of such usage. Primarily, the folks who have a problem with it are Google employees, especially their legal staff. Using trademarked names like Google as a verb, in the name-owners’ eyes, lessens the impact of the name itself as a known brand and can be a copyright issue. 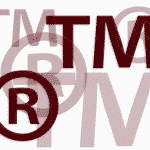 Product and service names are trademarked to distinguish one company’s brand from others. When a brand takes off, the name can often become a household word. Over time, the word becomes more generic as it is used to refer to other things not related to the original brand. Consider terms like Bubble Wrap (trademarked in 1983 by Sealed Air Corporation) and Crock Pot (trademarked in 1972 by Sunbeam Products, Inc.
Used in everyday writing and conversation, terms like these and many others are typically not capitalized and are used to refer to any brand of the product they resemble. To be politically correct, Bubble Wrap should be called simply packing material or inflated packaging. A Crock Pot, if it is not an actual Crock Pot made by Sunbeam, should be referred to as a slow cooker. 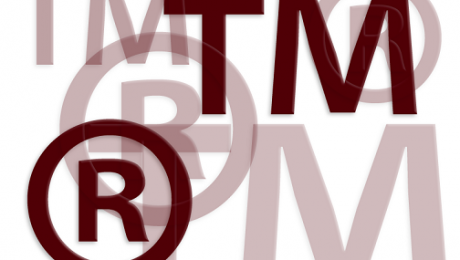 Whether your weight yo-yos around the holidays or you like to dumpster-dive for trashed treasures, you can write confidently with a little research into what is still trademarked and what is not. The most-used style guides, AP and Chicago, are constantly updating as branded words fall out of trademark protection. Back to using Google as a verb, while the company forbids it in a business sense, it is not legally binding in common talk or casual writing. Merriam-Webster includes both lower-case and upper-case entries and notes the term is “often capitalized.” The Chicago Manual of Style, 16th Edition, says the lawyers want it capitalized then goes on to tell us to ignore that if we want. AP presents Google, Googled, and Googling all capitalized. Unless referring to the actual company, it is safer to use generic terms. Character, plot, and place are intertwined elements good writers use artfully. Sometimes the place is fictional (for example, Kent Haruf’s Holt, Colorado), or real (Naples, the backdrop of a quartet of Elena Ferrante’s novels), or disguised (Oxford disguised as Christminster by Thomas Hardy). The setting imbues the story with the environment’s mood. It layers the tale with meaning about the passage of time, stages of life, constraints felt by the character, and/or as a source motivating the characters’ actions. Stories set in a familiar place help the tale appear more real for the readers. The reader becomes absorbed in a fictional story that seems real because it is set in identifiable locations. These locations change over time and are not boringly static backdrops of the unfolding plot. Elena Ferrante, who chooses to remain anonymous, picked gritty Naples for her stories of the enduring friendship of two girls who grew up in Rione Luzzatti, a poor neighborhood slum of Naples. Naples has a certain reputation because it is home to the autonomous local mafia clans, collectively known as the Camorra. Ferrante’s quartet of Neapolitan novels have other real settings that the characters visit (Milan, and the island of Ischia), stay in (Pisa), and live in (Florence and Turin) as they mature. 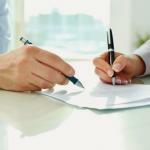 Negative, factually incorrect descriptions are vulnerable to litigation. Writers can protect themselves by including disclaimers that their creation is a work of fiction, and any real locations, organizations, and businesses described in it are fictionalized depictions by the author. Real locations set in a region where the fictional town is located add touches of authenticity that encourage readers to identify with the characters in the story. Readers who recognize the real place disguised by the author develop an intimacy with the unfolding tale. Also, anonymity wards off litigation. Unrecognizable places can be anywhere, but world-building requires work. Fictional locations can be as varied as J.K. Rowling’s Hogwarts and Kent Haruf’s fictional Holt, Colorado. One is more realistic than the other, but Rowling’s fiction is fantasy and Haruf’s is more realistic. Haruf’s fictional town of Holt seems to capture life in the plains of eastern Colorado, where the author grew up. Holt, Colorado functions like Thomas Hardy’s Wessex – an imaginary place based on a real region that the writers were familiar with. However, Haruf claimed his stories could be anyplace. His characters’ experiences were not limited to a particular location or region. There’s no superior choice of setting. Whether the location is identifiable, disguised, or fictional, the creative details depicted in each context draw the reader further into the world created by the writer. For writers who grew up or lived in small towns, writing about them comes easily because that life is so familiar to them. Unlike large cities with many service providers, small towns demand more of local residents, who need to become handy at doing things because the service is either not nearby or not easily available. Small towns also are fascinating settings for other reasons. 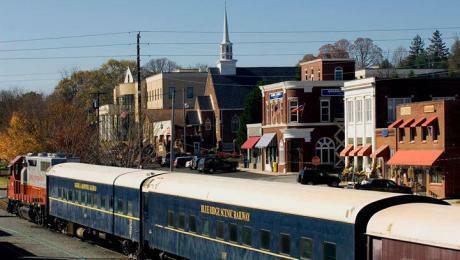 A ready-made setting springs up in readers’ minds when a small town is depicted as the background of the story. Their imaginations can work overtime with a few hints to fuel the pictures they have created in their minds. The pace of small towns does not appear to be stressed and busy like “big city” life, although work life is often hard and demanding. Local folk appear more relaxed, with time on their hands to do quirky things that writers can use to engage their readers. Small towns have less anonymity. They can be more personal. The environment does not favor privacy because people gossip and are curious about what other townspeople are doing. Appearances can be deceptive. Under the surface of pleasant small-town life can be a bubbling cauldron of passions, enmities, feuds, and even small animosities. Residents may have larger-than-life emotions: generosity, pettiness, jealousy, vengefulness, bitterness, or some other type of meanness as they appear to have more freedom to be themselves and engage more personally with others. Towns can also have dull-witted, slow-to-respond characters that appear to reflect the ambience. Small-town moral, ethical, and cultural standards provide a good foil for character development and influences. Lack of privacy offers writers opportunity to imagine characters harboring secrets that add spice to stories. In the less private environment of small-town settings, there are major potential repercussions if secrets become public knowledge and get passed around so “everyone” knows what is going on. The slow pace of small-town life lends itself to acceptance of the status quo and resistance to change. Newcomers are welcome, so long as they are not subversive. Blending in is expected because the confined setting is not conducive to ruffled feathers. The flip side of neighborliness is the constraining insularity. Career potential and education opportunities are limited. There is a reason why ambitious youth leave their hometowns. For writers, that environment offers potential material for intergenerational and/or interpersonal conflicts. The small town can be a creation of the writer; for example, Kent Haruf’s Holt, Colorado is a fictional derivative of three towns. Sherwood Anderson’s “Winesburg, Ohio” is a reminder that small-town life has been inspiring American writers for a long time. Compelling characters grab a reader’s attention and pull the reader into the story. In the best fiction, a reader becomes an interested observer, or at least feels as if he or she is part of the plot. How do writers create characters? And, how do writers create characters who are so interesting that readers care enough to know what happens to them? Writers like Eudora Welty and Jane Austen, who lived sheltered lives, were still able to write compelling characters with perceptive details about their society and the world in which they lived because they were observant about the people around them. Observing what motivates people provides writers with insight they can use in their work. Writers can learn from workshops and writing courses how to create complex and compelling characters. 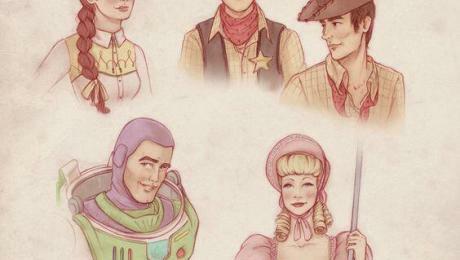 Building characters to make them distinctive and credible can be learned. 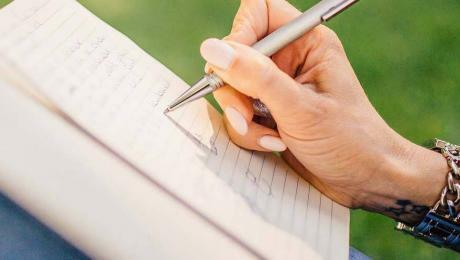 In creative writing courses exercises can help writers explore the facets and traits of characters that make them human and absorbing. Watching movies to figure out how to build scenes, learning to write dialogue, and taking narrative classes that help writers learn how to craft longer stories that do not lose their momentum are among the skills that writers can learn. The workshop format generates progress through peer reviews. The University of Iowa’s Writers’ Workshop is recognized as the leader in this space. The university may have come naturally to this approach because of Midwestern farmers’ tradition of “neighboring.” Neighborliness was how small farmers supported each other by helping each other in farming chores. Writing is a lonely craft, but workshops help writers learn to refine their craft sociably. Whether a reader’s attention stays with the story or the novel will depend on the writer’s skill in creating interesting, compelling characters, storylines, plots, and subplots. Copyeditors face unique challenges when working with multiple clients and writers. Primarily, everyone has their own idea of what is right and acceptable, and clients will vary on what they expect in any given piece of work. Rules also tend to change with the times as traditional writing forms make way for modern artistic freedom in speech and writing. How fast do things change? Oxford English Dictionary editors estimate they add around 1,000 words per year. Wrap your spell-checker around that statistic! 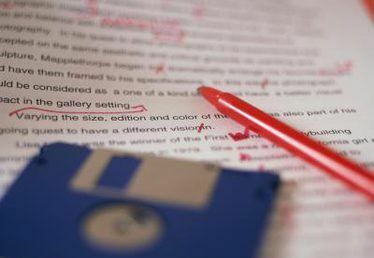 Thinking that editing class you took in college is the be-all and end-all of editing is where potentially great editors falter, and this can make or break a career. Classes are only the beginning, no matter how thick and unwieldy the dictionary and style manual were that you memorized. The best learning even an experienced editor will find is in real life situations, especially from writers willing to share their editing nightmares. If you Google a phrase like “bad editor,” you will find more than 20,000 results telling you exactly what not to do, including a humorous definition from Urban Dictionary. Likely most of these “Don’ts” were born from writers fed up with their police-like editors ruining a good piece of writing by sticking hard and fast to old rules. As an editor, it is imperative to work with your writer rather than against them. Ultimately, you will end up learning a lot about yourself in the process. When you are ready to get serious as an editor and you want to improve your skills in today’s terms, find some writers to talk with. Writers are everywhere, so it should be easy to find some with some interesting editing horror stories. Brace yourself for brutal honesty in their opinions of editors because this will shed light on how you can improve. Pay attention to how they fear and perceive editors and vow to do better. Consider editing as a continuing education in the English language. Consider the audience your writer is writing for and what the readers expect as far as form and function. It is important to know that being on the cutting edge of linguistics is bad for business (you don’t want to be too different), but being able to flex your branches with differing needs and expectations will make you less of a “bad guy” and more of a partner. Finally, seek out a mentor or team of mentors who will provide you uncensored advice on your copyediting techniques. The more people you ask opinions of, the more diverse your skills will become. This in turn will help you break free of stagnancy and allow you more room to grow in the career. Flash fiction, or extremely brief works of fiction, has exploded in popularity over the past few years but has been around longer than many realize. In America, one can find examples of such micro-storytelling as early as the 1800s from authors including Kate Chopin and Walt Whitman. The popular magazine Cosmopolitan popularized these short forms by way of their “Short Short Story” section, and by the 1930s, anthologies of these shorts started to hit the printing presses. 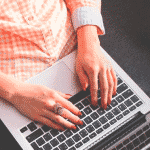 While there is no hard and fast rule for an actual word limit to any flash fiction story, audiences will agree on “the shorter, the better.” The internet is, after all, the go-to source for bite-sized information and entertainment. 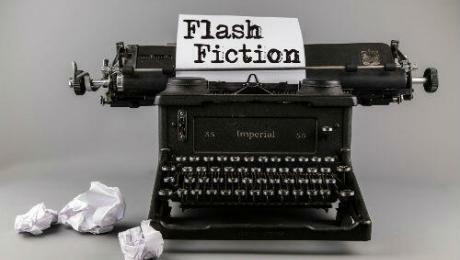 Because of this, flash fiction naturally took over a corner of the web. Not only has the internet been the impetus for enhanced awareness of the style, it has blatantly influenced its popularity. We now see online journals dedicated solely to this uniquely satisfying writing style. New online journals crop up weekly, bringing us new flash fiction to consume. With every new voice on the web, the style continues to evolve and new rules are written. Keeping in form means flash writers take existing forms and redefine them. As long as the many forms of flash fiction remain nebulous, audiences will remain interested.